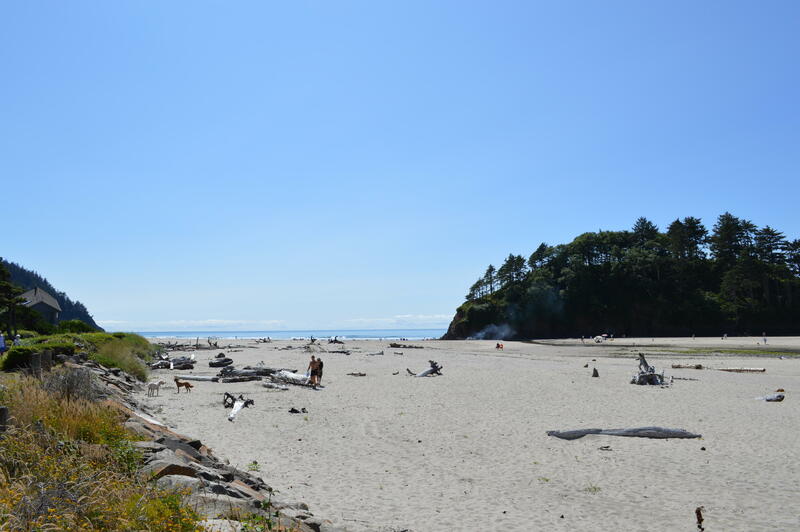 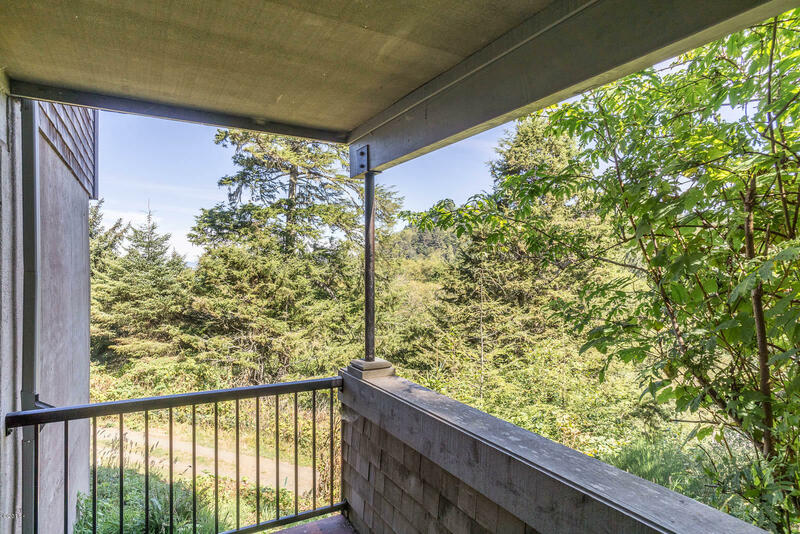 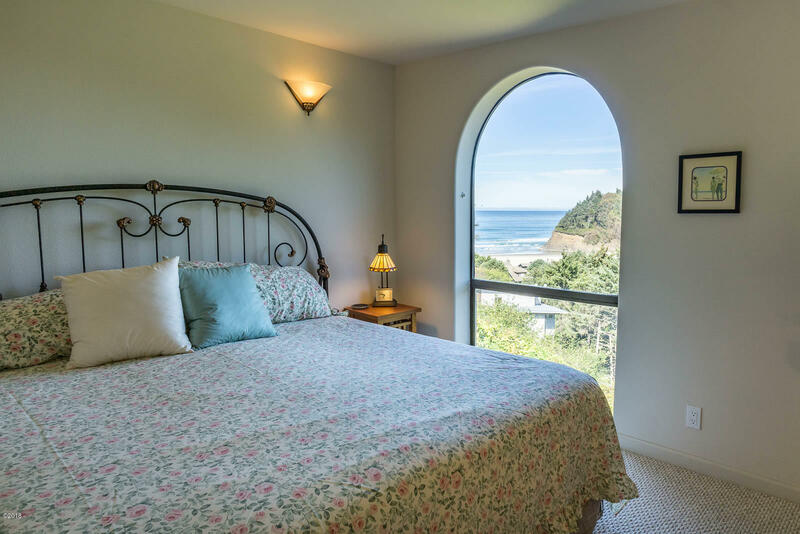 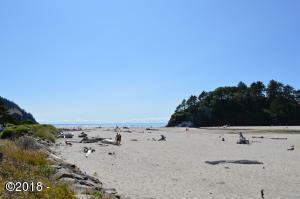 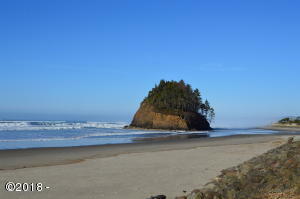 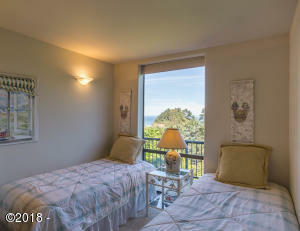 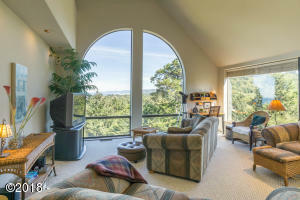 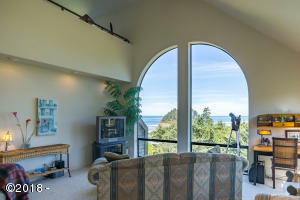 Spectacular ocean views from the beach at Proposal Rock all the way North to Cape Kiwanda! 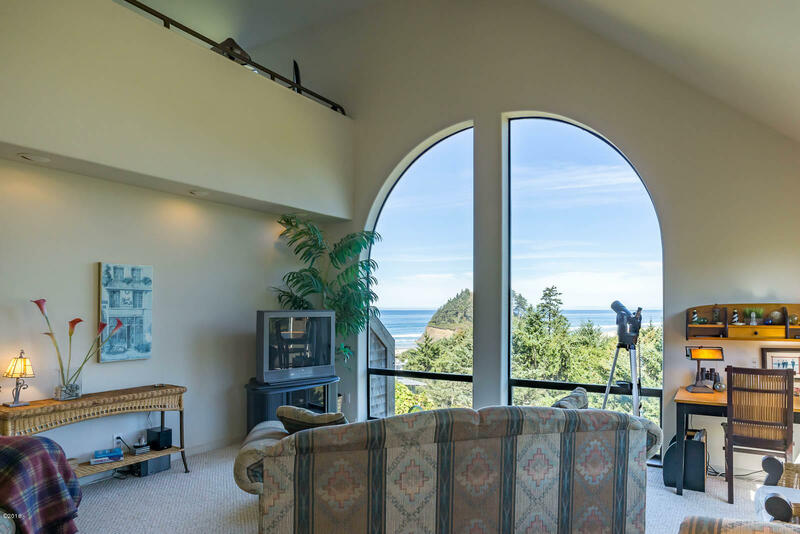 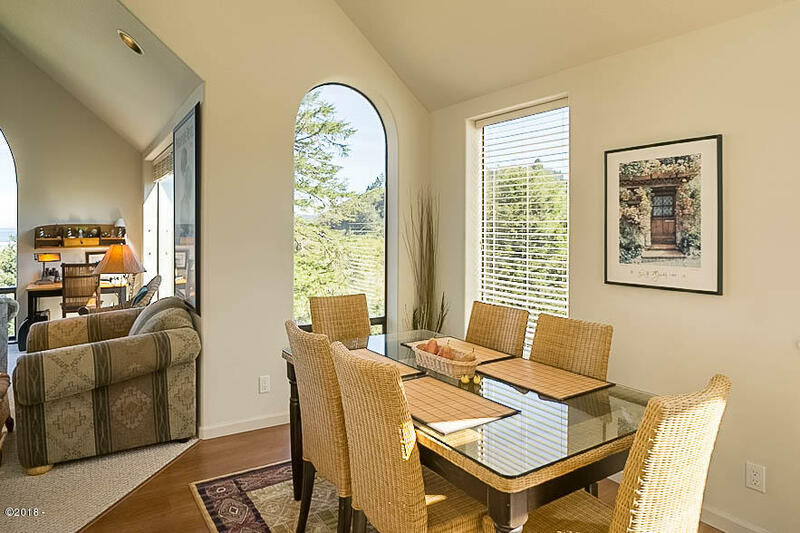 Mediterranean flair with floor-to-ceiling arched windows to views. 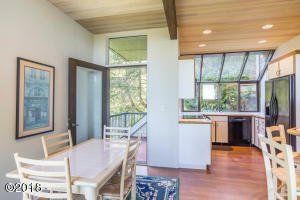 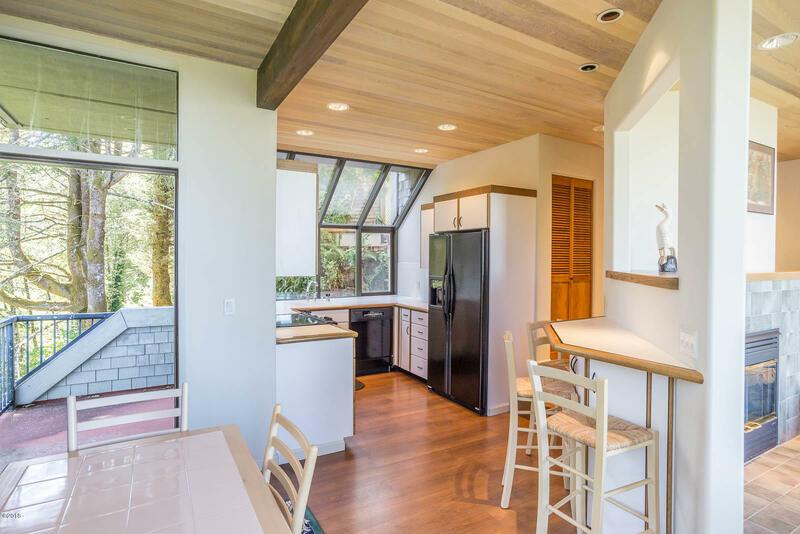 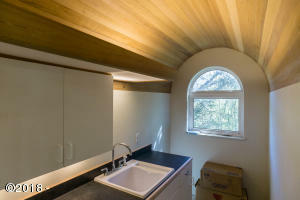 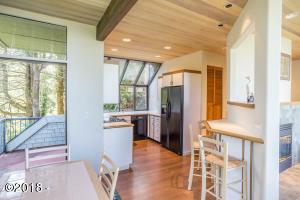 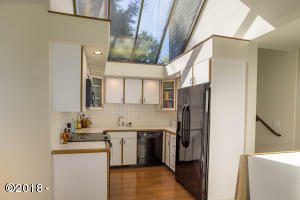 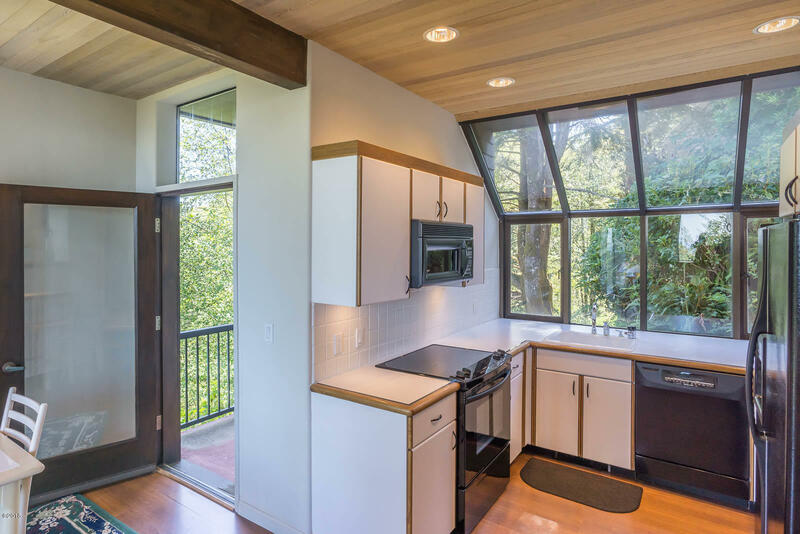 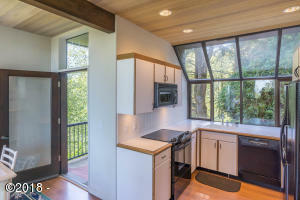 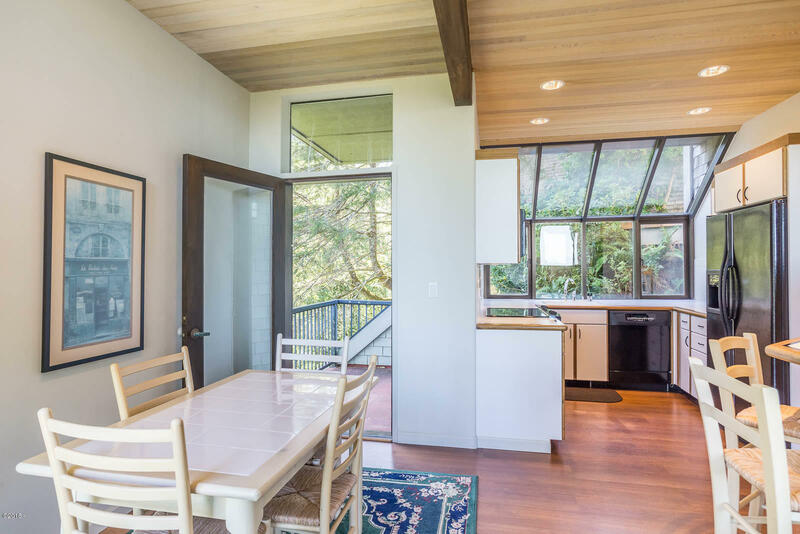 Glass ceiling in upper kitchen and glass windows in lower kitchen bring in loads of natural light. 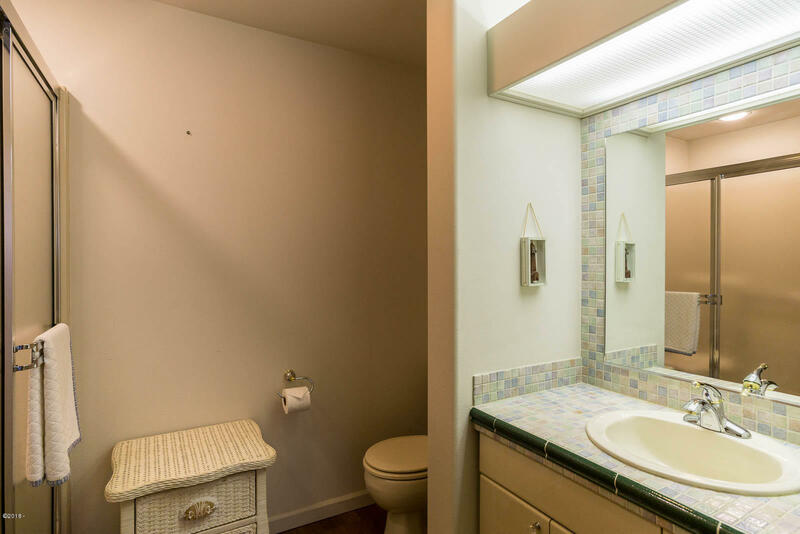 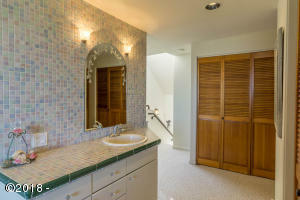 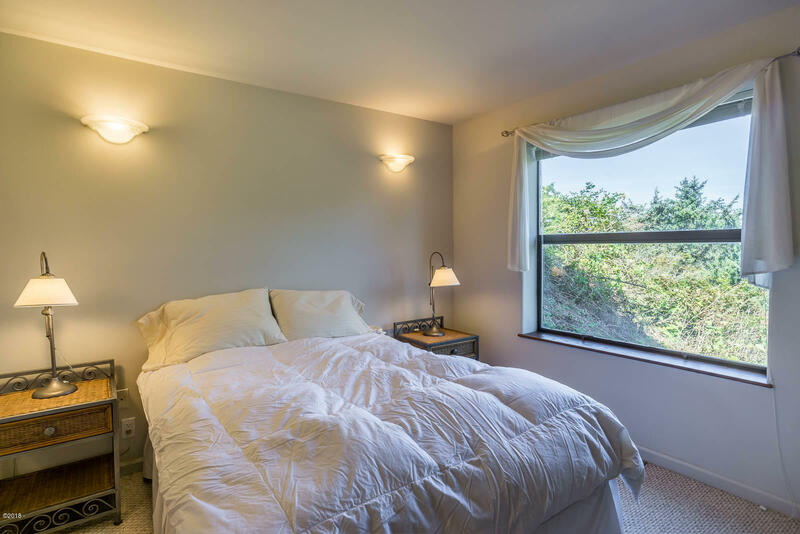 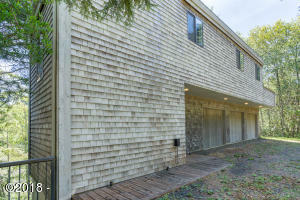 Each level has separate entrance, full kitchen, 2 Bedrooms, 2 Baths, fireplace, washer and dryer. 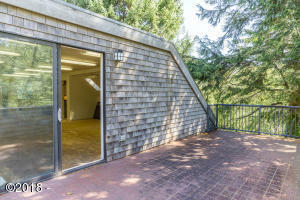 Decks and courtyard for outdoor living enjoyment. 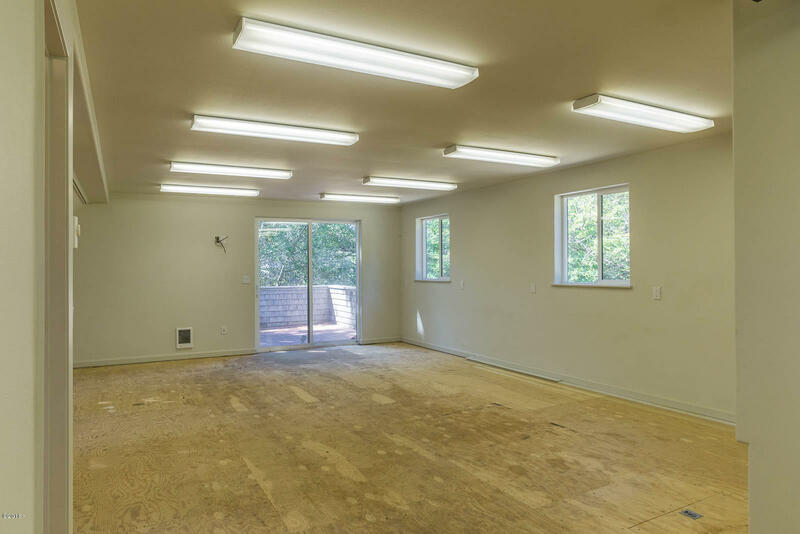 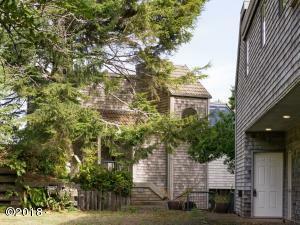 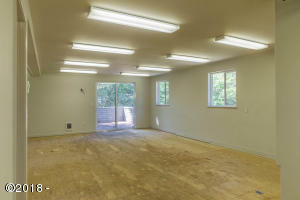 Detached 2810 s. F. Garage with shop, office and deck built in 2000 has additional living space. Property also has an automatic generator system. Just a few minute walk to the beach. 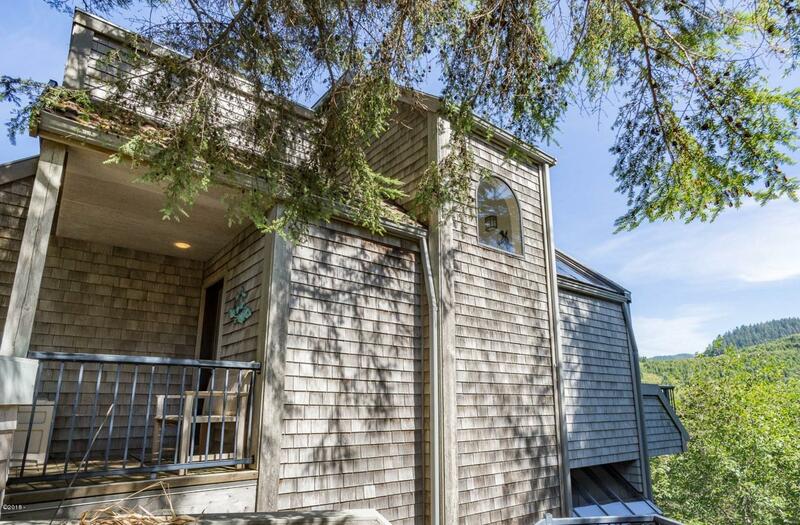 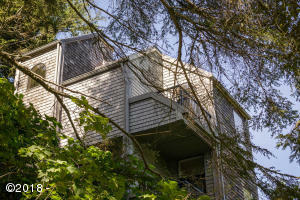 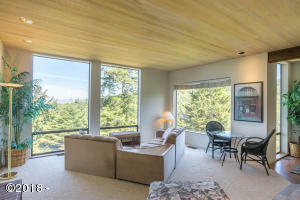 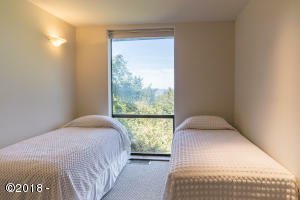 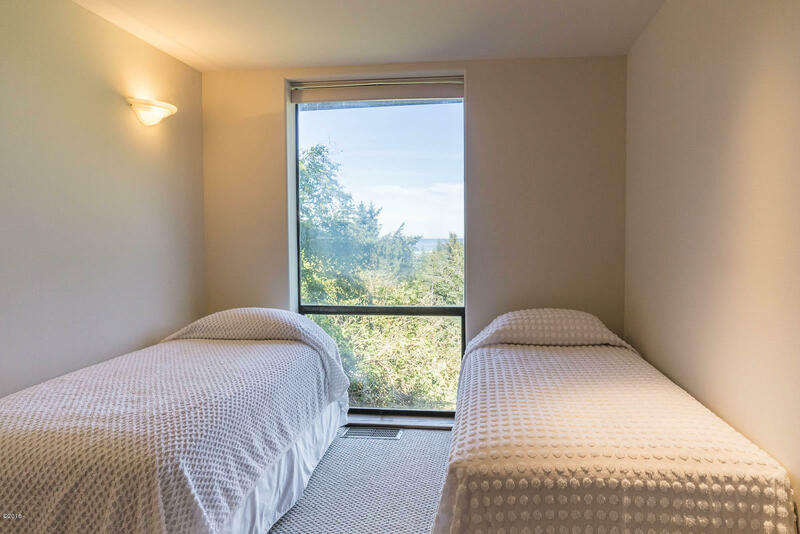 Unique opportunity for co-ownership or vacation rental! 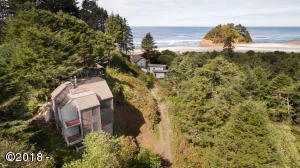 Directions From Highway 101 approx 1/4 mile South of Neskowin, West on South Beach Road, take 2nd Right, Left on Knoll Terrace and Right at top of the hill.